Russian prosecutors seek to ban 'surrogate money' known as kolions | Russian Legal Information Agency (RAPSI). 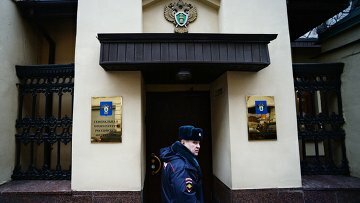 MOSCOW, June 1 (RAPSI) - Russia’s Prosecutor General’s Office has demanded that 'kolions', surrogate money issued by local farmer Mikhail Shlyapnikov, be prohibited from circulation, RIA Novosti reported on Monday. In 2014, the businessman issued 20,000 kolions, his own invented money to settle deals with his customers. The new currency was named after the village of Kolionovo (Yegoryevsky District in the Moscow Region) where the currency is claimed to have been issued. The Prosecutor General’s Office has requested that the use of “kolions” be recognized unlawful and ban their issuance and circulation because the farmer did not receive state approval. According to the lawsuit, “kolions” as monetary surrogates pose a threat to the integrity of the Russian payment system and Russia’s monopoly on the issuance of money. They may also mislead and confuse people during an economic crisis. The businessman claims that he issued the new currency in order to improve the quality of life in the village. One “kolion” is equivalent to 50 rubles (about $1) that serve as his personal promissory notes as an individual. Shlyapnikov explained that his customers can order goods but if they are not necessary at the time of the order, the customer receives “kolions” as a warranty that states a fixed price for the goods. Later, the customer may trade the “kolions” for an earlier agreed order at an earlier agreed price. Shlyapnikov noted that the “kolions” are not exchanged for rubles. He also says he does not force anyone to use his money and settles his deals in rubles. However, the prosecutor’s inspection revealed that the “kolions” perform the economic functions necessary and sufficient for circulation (comparison of value, accumulation, payment) but, unlike common money, issuance is voluntary. 16:43 01/06/2015 Russia’s Prosecutor General’s Office has demanded that 'kolions', surrogate money issued by local farmer Mikhail Shlyapnikov, be prohibited from circulation.